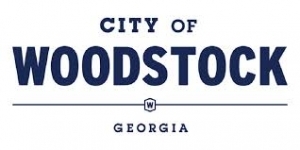 The City of Woodstock offers its employees the opportunity to save tax dollars through a Flexible Spending Account (FSA) administered by UMR. The FSA plan year is from October 1 through September 30. The Flexible Spending Account can be used for Healthcare and Dependent Care reimbursement. You have the option to set aside funds each pay period, on a pre-tax basis, which can be used for reimbursement of qualified expenses. The FSA plans require re-enrollment each year. The Healthcare FSA allows you to set aside pre-tax earnings to pay eligible healthcare expenses for the plan year. By having your estimated expenses deducted from your paycheck before taxes are taken out, you can save money on the taxes you pay. You decide how much money you want to set aside for healthcare expenses for the coming plan year. The City will withhold an equal portion of that amount from each paycheck, deducting it from your earnings on a pre-tax basis. Throughout the plan year, you can pay for qualified out of pocket expenses using your FSA debit card or submit a claim form for reimbursement. WHAT KINDS OF EXPENSES QUALIFY? HOW MUCH SHOULD YOU CONTRIBUTE TO THE HEALTHCARE FSA? Review provider bills, tax receipts, checkbook register and other records for the past two years to estimate your healthcare expenses. You may elect to contribute up to $2,650 for the 2018-2019 plan year into the Healthcare FSA. The Dependent Care FSA allows you to set aside pre-tax money to pay dependent care expenses for the coming plan year. By having your estimated expenses deducted from your earnings pre-tax, you can save money on the taxes you pay. Decide how much money you want to set aside for the coming plan year’s dependent care expenses. The City will withhold an equal portion of that amount from each paycheck on a pre-tax basis. Note: In certain situations, a Dependent Care FSA may not work to your advantage. Lower income families may recognize more tax benefit by not electing to utilize a Dependent Care FSA. Dependent Care refers to the care of a dependent under age 13, or a mentally or physically disabled dependent of any age. Dependent care must be necessary so that you and your spouse (if applicable) can work. Monthly dependent expenses cannot exceed the income of you or your spouse, whichever is less. HOW MUCH SHOULD YOU CONTRIBUTE TO THE DEPENDENT CARE FSA? Review all bills, expense vouchers, tax receipts, checkbook register and other records for the past two years. With this guide, estimate the expenses you may incur for the coming plan year. You may elect up to $5,000 per year based on current IRS regulations, or $2,500 for married couples filing separately. Plan carefully. Any funds left over at the end of the year will be forfeited. However, with proper planning, no money should be lost. Remember that funds can be used for many over-the-counter items. Healthcare and Dependent Care FSA plans are separate – dollars you put into one account cannot be transferred to another. Save your receipts. You should save all of your receipts in case you need to verify a purchase or if you were to ever be audited by the IRS. The change you make to your FSA must be consistent with the qualifying event that occurred.